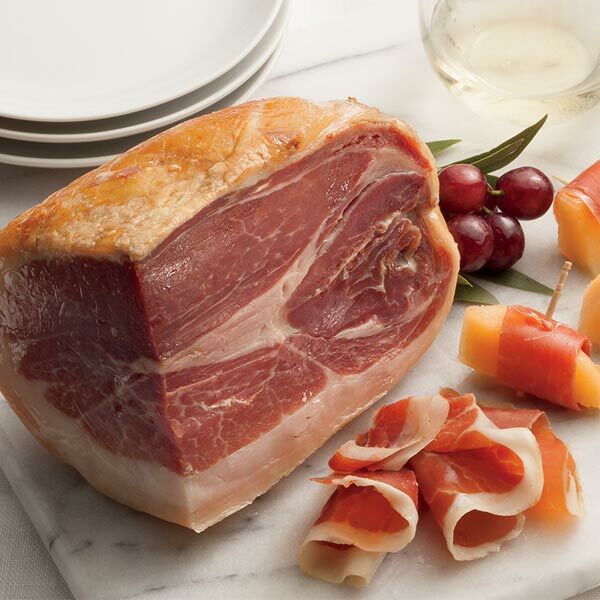 American Surryano ham from Heritage Breed pork is dry-cured, hickory-smoked and aged 400 days. The Bone-In Surryanos are hand-rubbed with a dry cure blend of salt and sugar, then smoked for seven days over hickory wood, and aged for more than 400 days to produce their signature mahogany color and rich, distinctive flavor. 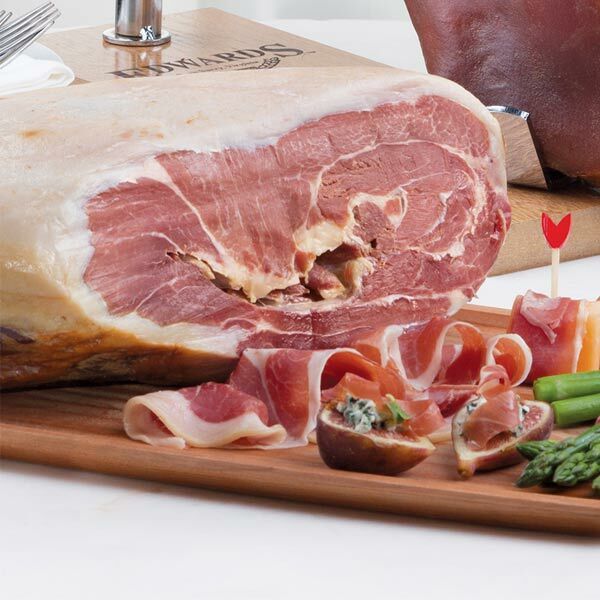 All Surryano Hams are crafted from pasture-raised Heritage Breed pork such as Berkshire and Red Wattle hogs, which deliver an incredible nutty, umami flavor. When you combine the Heritage Breed pork with the timeless tradition of salting, smoking and aging, you get an American charcuterie reminiscent to the hams of old. Meant to be sliced paper thin and served at room temperature with melon, olives, Spanish tapas, bread and cheese (pairs particularly well with provolone and mozzarella). Storage: No refrigeration necessary. After slicing, cover the sliced area of bone-in Surryano with plastic wrap to prevent the meat from drying out. The Surryano can remain on your ham stand (not included) for display. To store completely, wrap Surryano in meat paper of plastic wrap and store in a cool place. Best consumed within 12 weeks. Preparation: No cooking required. Ready to slice paper thin and serve as a perfect complement to melon slices, olives, Spanish-style tapas...or on bread with olive oil and cheeses such as provolone & mozzarella. For optimal flavor, serve at room temperature.